On Tuesday 20th November, 40 Brethren, a quarter of whom were from the New Members Group, met at the Lodge of Amity and Rossendale Forest No. 283 to witness a demonstration and explanation of the 2nd Degree Ceremony delivered by three members of the Education and Development Committee Demonstration team, assisted by Brethren of the Lodge. Once the opening business had been concluded, the acting Worshipful Master WBro Greg Casson opened the Lodge in the 2nd Degree and passed over to WBro Antony Freemont, WBro Anthony Costello and WBro Harold Cooper for the presentation. They opened up the Ceremony by explaining they hoped to show that the 2nd Degree was as beautiful and important as the 1st and 3rd. 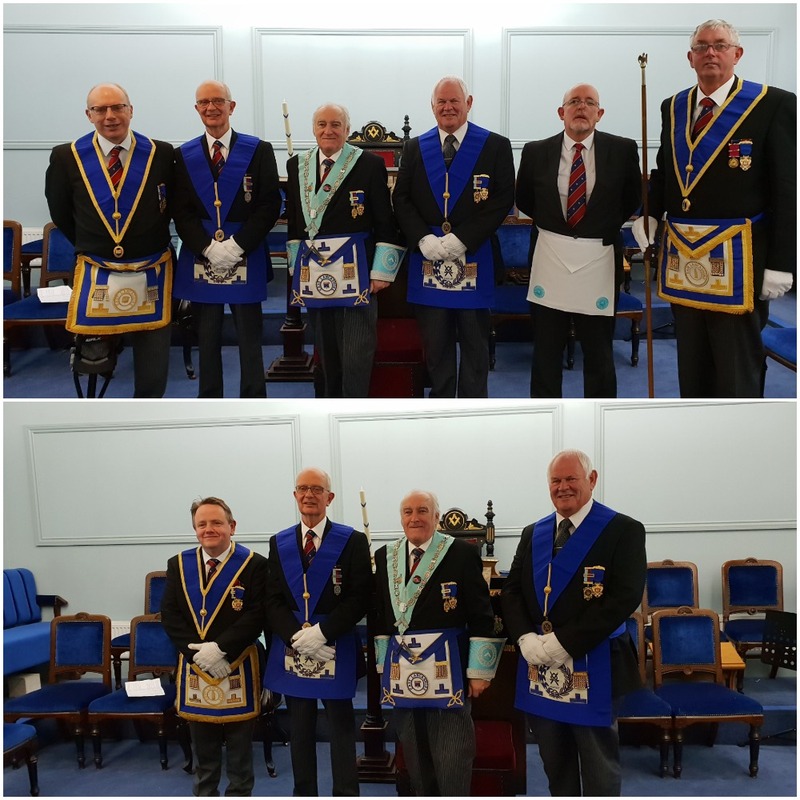 Whilst WBro’s Freemont and Costello narrated the proceedings, WBro Cooper choreographed the movement of the candidate, Bro Vincent Frain around the Lodge and through the practical elements of the ceremony. The presentation concluded with a very interesting question and answer session after which the Worshipful Master thanked the team for their excellent work before a rousing round of applause from the brethren. Following the photographs, the Brethren retired to a lively and entertaining festive board! Images and Article: East Ribble District Team.